Truckie was more likely a tradie says TPU of reported road rage incident. TRUCK driver advocacy group Transport People United, has hit back at media reports about an enraged truckie terrorising a couple driving up the Bruce Hwy in Queensland. The Gympie Times reported that the "truckie terrorised" a middle-aged couple on the Bruce Hwy near Gympie on Tuesday morning. And he eventually forced the couple's car to a standstill, got out of the truck and kicked in one of their doors. But the story doesn't add up, says TPU Secretary Kay Paul. Mrs Paul said the report went onto say a blue and white Isuzu had tailgated the couple's Volkswagen. She said describing the driver as a truckie was most likely inaccurate as most Isuzu's on the road were small tray backs or even utes and mostly driven by tradesmen. "It was more likely a small truck, some people call utes trucks," she said. The couple say the "truckie" had blew his air horn and flashed his lights on high beam before he overtook them at Traveston and pulled up blocking the lane and forcing the couple to a stop. "I don't think it would have been a big truck and it probably wouldn't have had air horn," Mrs Paul said. "It probably didn't have a cabin on it and I'd like to know how heavy the vehicle was." Gympie police have said they would investigate the incident. The Eumundi couple were driving north to Bundaberg when the alleged offence occurred about 7am. It was also reported that the "truckie" had climbed down from his cabin and approached the terrified 64-year-old driver and his 50-year-old female passenger, yelling abuse at them and kicking in the panelling of the door before the driver was able to veer around the man and his truck to escape. Mrs Paul said she was not saying that the drivers actions were excusable, instead that the reporting of him as a truckie only sparked more hatred for trucks. "I think it should be reported correctly, was it a tradesman?" She has urged all truckies to start backing off so that there was no reason for truck drivers to be in the spotlight for all the wrong reasons. But a lot came down to perception, she said, as trucks often looked like they were tailgating when in reality they are not that close, instead it was the size of the vehicle that made it appear closer than it actually was. This poll ended on 20 April 2013. I have had road rage. I have acted on my road rage (either by tailgating, flashing lights, yelling abuse or more serious). An article on caradvice.com.au, says the overwhelming majority of motorists believe Australian drivers were becoming more aggressive. A survey of 3740 Australians by insurance provider GIO in 2011 revealed that 85% believe drivers are getting more aggressive. 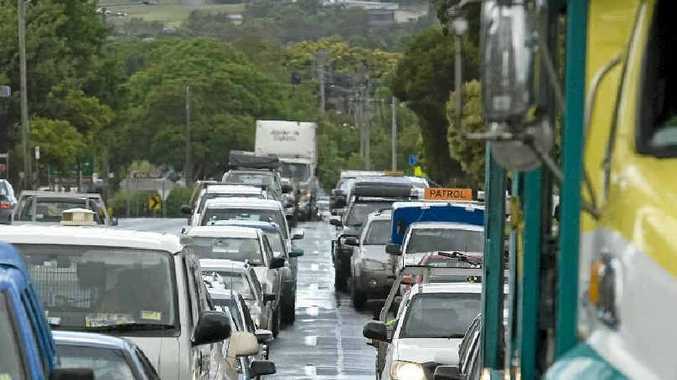 The study revealed Brisbane drivers were the angriest, while Sydney motorists were involved in less road rage than drivers in major capital cities. In total, 95% of Brisbane motorists had been on the receiving end of road rage. Across the country, 88% of respondents said they had been the victim of road rage. Rude gestures were the most common form of road rage, while more than half of those surveyed had also been the target of tailgating and verbal abuse. Almost one quarter of people said they had been followed in their car by an enraged driver. The rate was higher for women than men. Alarmingly, more than one in 10 people said they had been forced off the road during a road rage incident, while 5.9% said another driver caused damage to their car and 2.2% had been physically assaulted in a road rage incident.